When the Australian Taxation Office (ATO) released interpretative decision ATO ID 2012/16 and Tax Determination 2013/22, we received a number of inquiries from people with one-off large capital gains or income from irregular contracts looking to implement a contributions holding account (or suspense account) strategy affectionately known as “the Double Dip” strategy. I deliberately do not use the commonly used name “reserving strategy” as the ATO seems to frown on “Reserves”. This details of the strategy are outlined in the ATO’s interpretative decision and in effect allow for a taxpayer to ‘double-dip’ on claiming a tax deduction for superannuation contributions, with the crediting of any June contributions being applied no later than 28 July in the following financial year (refer SIS Reg. 7.08(2)). You use a contributions holding (or suspense) account and place a contribution during June (and claim that contribution as a tax deduction in that year if it is a concessional contribution) but the amount is then credited to your member account anytime from 1 July to 28 July, which is when the amount will be counted as a contribution and counted against the new financial year’s contribution caps. Now right at the start let me advice you that the ATO’s systems are not able to cope with this strategy so there is a “work-around” needed and it is just part of the process of implementing this strategy and nothing to be worried about. Read your Deed to ensure there are no clauses preventing the operation of a contributions holding account (I would be surprised if there are, but read the deed anyway, it’s a good habit). Read the above ATO ID 2012/16 to understand clearly the details of how to effectively implement this in a contribution holding account strategy, from start to finish across personal and SMSF tax entities..
Report the full contributions within your SMSF Annual Return – ensure that the accountant/administrator paid the necessary contributions tax on the entire contribution. Where you are self-employed (or substantially self-employed), ensure that the Notice of intent to claim or vary a deduction for personal super contributions (NAT 71121) is correct for the current year and submit the form. Follow the exact rules that apply to ensure a valid notice exists, as per s290-170 of the ITAA 1997. Most advisers call the form an “S290”. Remember the contribution tax was paid in the first year so you need to gross-up the amount to be allocated in the following financial year. Complete a Request to adjust concessional contributions (NAT 74851) before or at the same time you complete your SMSF and Personal tax return. 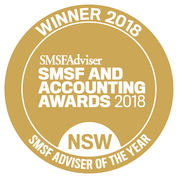 The instructions for this form also provide instructions on how you, as a trustee or your administrator, complete the SMSF annual return to correctly account for the contributions reported on this form. Minute the operation and movement of money in this strategy to ensure there are complete and accurate records. Tony is a 59 years old self-employed mechanic, who sold a Sydney property this year that he had held for 15 years. He has a very large capital gain (lucky bugger) and wants to minimise his tax. 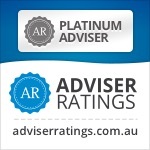 His SMSF Specialist Advisor (Me Me Me!) and Tax agent agree that he should use the “Double Dip” contribution strategy to make $50,000 worth of concessional contributions to his SMSF and claim them as a tax deduction this financial year. they have confirmed that he will have a lower-income next year and hence the deduction will be more valuable to him by claiming it this financial year. He has already made $25,000 worth of contributions so far so he makes a contribution of $25,000 to his SMSF this financial year in June, and claims the deduction for this year. The total amount of $60,000 will count as an assessable concessional contribution this year and will count as taxable income of the super fund this year. Best practice would be to make the $25,000 contribution separate to previous contributions. Tony completes the Notice of intent to claim or vary a deduction for personal super contributions (NAT 71121) and provides it to the fund trustee(s) to pass to the Accountant / Administrator. The full $60,000 is treated as fund income for that year and the contributions is accounted for in the tax payable for that year. The first $35,000 is allocated to the member’s account before 30 June. The fund does not allocate the other $25,000 of this money to his member account in 2016, but rather allocates this money to a ‘contribution holding account’ or a ‘suspense account’ in the SMSF. The $25,000 is therefore delayed being allocated to his member account until the next month which is July 2017 and hence in the new financial year. The grossed up contribution will then be counted against his concessional contributions cap for the second year. 4. In the following month of July (but prior to the 28th of the month), the money is then allocated to Tony’s account and it counts as a concessional contribution in that new financial year using his full $25,000 concessional cap. Evidence of the reallocation within 28 days of the end of the month. Note that having used the cap he has no ability to use further contributions to reduce his income in the new financial year unless he continues to use a reserve each June. Oh and true SMSF DIYer’s, please don’t try this at home on your own. Get advice and do it right!